GOD’S LAWS FOR TITHING IN TABERNACLE AND TEMPLE TIMES. Shalom. This morning we will continue our teaching from Torah, The Law of Moses from Leviticus 27.1-8. And the Title of our message is GOD’S LAWS FOR TITHING IN TABERNACLE AND TEMPLE TIMES. And with that said, let’s read Leviticus 27.1-8, but the study will cover the entire chapter. GOD’S Laws in this chapter explain how monetary and other tithes were made to the Sanctuary. That is for the Tabernacle in the wilderness, and the First and Second Temples in Jerusalem. How the value of their tithes were determined, or whether or not a specific tithe that was dedicated to The LORD such as an individual’s house, or field, or animal could be redeemed or bought back. And the individual tithes were the most important source of income for the Temple. And each individual who tithed to The LORD’S Sanctuary had a sense of personal involvement in the work that was performed by the Priests in serving The LORD. LEVITICUS 27.1 As you well know, the Torah which is GOD’S Teachings, Laws and Instructions known as The Law of Moses, and written in the first five books of The Bible was given directly to Moses by GOD Face to face. Most often in the Holy of Holies in the Tabernacle Sanctuary in the wilderness. And GOD has only One Law for all mankind. That Law is The Torah, The Law of Moses where all GOD’S Laws are written. None of these Laws are man’s laws. GOD says in Exodus 12.49, There shall be one Law for the Jewish Person and the non-Jewish Person who dwells among you. The cornerstone of the New Testament is Torah, GOD’S Law of Moses, and The Messiah Yeshua Who is our Atonement. All the nations, all the countries other than Israel are defined by GOD in Hebrew as Goyim, meaning nations, gentiles, and heathen. Heathen because the nations other than Israel do not live their lives according to GOD’S Torah, His Law of Moses. And like the United States of America, all countries other than Israel reject, and are often taught to reject GOD’S Torah, His Law of Moses. That is heathenism. And the word pagan is associated with heathenism because paganism is the belief in many different gods. And many, not all in this country believe in the trinity, the teaching of three different gods. Mysteriously, the New Testament translation from Hebrew to Greek, and read throughout the world in their own languages, was translated by the ancient Greeks who were pagans believing in many gods, who had very little or no understanding of The One True GOD, The GOD of Israel Who is Yeshua The Messiah, Ha Shem. On the other hand, Israel, the Jewish People are defined by GOD as a Holy People, a separate people, set apart for GOD, separated by GOD from other peoples, People who dwell alone, who belong to GOD, and a People saved by GOD. But the merciful GOD has a formula for the Gentile to join in with His Jewish People to receive all GOD’S Blessings and Eternal Life. The Gentile must turn from their false doctrine they have been taught over the ages and turn to GOD, have their sins atoned for through Ha Shem Yeshua The Messiah, and live their lives according to GOD’S Torah, His Law of Moses written in Genesis, Exodus, Leviticus, Numbers, and Deuteronomy. (Joshua 23.7) Christian doctrine of the trinity is belief that Jesus Christ is another god. Not The Father. 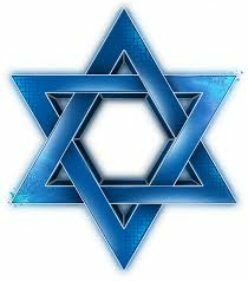 (Romans 15.10) His People, or GOD’S people are the Jewish People. (John 4.22) Messiah teaches that Salvation is from the Jews. LEVITICUS 27.2 When a person makes a singular vow, that is when a person vows to dedicate something to The LORD such as himself or herself, the person is valued in terms of money by the Priest for their monetary tithe to the Sanctuary. LEVITICUS 27.3-4 GOD’S monetary value in terms of a tithe for a male from twenty years old to sixty years old was fifty shekels of silver after the shekel of the sanctuary. And for a female from twenty to sixty years old was thirty shekels. LEVITICUS 27.5 If the person was from five years old to twenty years old, the value for the male was twenty shekels, and for a female ten shekels. LEVITICUS 27.6 And for a child from a month old to five years old, the monetary value for the tithe was five shekels of silver for a male, and three shekels for a female. LEVITICUS 27.7 And if the person was sixty years old and older, the monetary value for a male was fifteen shekels, and for a female, ten shekels. LEVITICUS 27.8 If the person was poorer than the assessed value he or she could tithe, the individual presented himself or herself before the Priest, and the Priest assessed the person according to their ability to tithe. LEVITICUS 27.9-10 If an animal was brought that could be sacrificed on the altar to The LORD, that animal was Holy and dedicated or tithed to The LORD. The tither was not to change the animal, good for bad, or bad for good. But if he did change animal for animal, then both animals were Holy to The LORD, and both were dedicated and tithed to the Sanctuary. LEVITICUS 27.11-13 If a person tithed an unclean animal such as a mule or camel, the animal was sold by the Priest, and the money was tithed to the Temple. The animals had their value set by the Priest, good or bad. But if the owner chose to redeem the animal, that is buy it back, he paid the full value of the animal that was set by the priest plus twenty percent. That was his or her tithe to the Sanctuary. LEVITICUS 27.14-15 If one chose to dedicate their house to The LORD as their tithe, the Priest placed a value on the house and sold it. The money going to the Sanctuary as their tithe. However if the tither’s intention was to make a monetary contribution to the Sanctuary, and not the house, and he bought the house back from the Priest, the tither would pay as his tithe the full value of the house set by the Priest, plus another twenty percent. LEVITICUS 27.16 If a person dedicated some part of his field to The LORD as a tithe, then the Priest set the value according to the field’s crop production. And the calculation for the field was made for the tithe. LEVITICUS 27.17 The tither dedicating his field for a tithe according to the coming jubilee was more complicated. If he dedicated his field from the year of jubilee according to the Priest’s valuation, the value of the field stood. Whether a high or low value, or a good or bad value, the Priest’s assessment was final. The proceeds went to the Sanctuary as his tithe. LEVITICUS 27.18 But if he dedicated his field after the jubilee, the Priest calculated the price according to the years remaining to the coming jubilee, and the value was reduced. LEVITICUS 27.19 And if he that tithed the field to The LORD redeemed it, that is he bought it back from the Priest, he paid the full value of the field assessed by the Priest, plus twenty percent. That was his tithe, and the field passed back to him. LEVITICUS 27.20 If he did not redeem the field, or if he had sold the field to another person, the field could not be redeemed any more. LEVITICUS 27.21 But when the field was tithed to The LORD in the jubilee, the field became Holy to The LORD and the possession of the field belonged to the Priests. LEVITICUS 27.22-24 This Law is about lands that returned to its original owner at the year of jubilee. The tither did not donate something he owned because it belonged to its original owner. However the field was dedicated to The LORD only by tithing its monetary value as assessed by the Priest. But in the year of jubilee, the field returned to its original owner, not the tither. LEVITICUS 27.25 All values were assessed by the Priest according to the shekel of the Sanctuary. LEVITICUS 27.27 If the animal that was tithed to The LORD was unclean such as a mule or camel, and redeemed, it was bought back by the tither according to the value the Priest assessed it, plus twenty percent for his tithe. If the animal was not redeemed, it was sold by the Priest according to the Priest’s assessment, and the proceeds of the sale was the tithe. LEVITICUS 27.28-29 The words in Hebrew for devoted and devote in this Scripture, as in “No devoted thing that a man shall devote to The LORD”, is HEHREM, meaning condemned or accursed. Certain things that some people owned were condemned or cursed because the person might have been an idolator, or took things that were accursed or other reasons those things were condemned. LEVITICUS 27.30-31 All the tithes of the land, whether the seed of the land, or the fruit of the tree is The LORD’S. It is Holy to The LORD. And if a person redeemed any of his tithes, he added twenty percent to its value for the tithe. LEVITICUS 27.32-33 Concerning the tithes for the herds and flocks, the cattle and oxen, and the sheep and the goats. Those that passed under the rod. That was, and maybe still is the custom of making the animals pass by in single file, and each tenth animal was marked with a rod that was dipped in a colored paint. The tenth animal was Holy to The LORD and tithed to The LORD. The tither was commanded not to search for good or bad animals. He must offer to The LORD the tenth animal that passed under the rod without regard to size or quality. He was not allowed to make any changes. And if he did make a change, both animals were Holy to The LORD, and both were tithed to The LORD. And the animal could not be redeemed. LEVITICUS 27.34 These are the Commandments which The LORD commanded Moses for the Children of Israel. And these will be GOD’S Laws for tithing to the Temple that will be rebuilt in the Messianic Kingdom in Jerusalem where GOD The Messiah Yeshua, Ha Shem will reign. Posted on November 29, 2015 Categories Shabbat MessageLeave a comment on GOD’S LAWS FOR TITHING IN TABERNACLE AND TEMPLE TIMES. REPENTANCE. WHAT ARE GOD’S INSTRUCTIONS FOR REPENTANCE? Shalom. Our teaching this morning from Torah, The Law of Moses, will come from GOD’S Word in Leviticus 26.40-46. And the title of our message is, REPENTANCE. WHAT ARE GOD’S INSTRUCTIONS FOR REPENTANCE? And with that said, let’s read Leviticus 26.40-46. I have often heard on TV and radio, Preachers and Bible Teachers preach that repentance is change. Or that repentance is to think differently. But what are we supposed to change? What is it we are to think differently? Is repentance so unimportant that the Church fails to teach what GOD’S instructions are for repentance? Are the Preachers and Bible Teachers frightened to teach the truth about GOD’S instructions for repentance? Are the Preachers and Bible Teachers scared that they are required to speak positively about Torah, GOD’S Law of Moses? Because obedience to The Law of Moses is essential for repentance. Or have these Preachers and Teachers really bought into the lie that since the time of Christ’s death, The Law of Moses is taken away completely as valid instruments of worship? Don’t these Preachers and Bible Teachers realize that Jesus Christ Whose given Hebrew Name and Title is Yeshua The Messiah is Jehovah, The Father, GOD Almighty, Ha Shem, The One and only GOD Whose Word, and His Law that is written in His Word never change nor does it ever end? Repentance, on the authority of GOD’S instructions, and assuming that the individual has Atonement through the sacrificial death of The Messiah Yeshua, is turning from sin. Sin is breaking The Law of Moses. Any Law as John teaches in 1 John 3.4. And then being humbled before GOD by submitting to Him and living by all His Laws that are written in The Law of Moses as a lifelong work. And then accepting the punishment for your sin. Sin, by breaking GOD’S Law of Moses, is hostility against GOD. Sin is walking contrary to GOD. Sin is unrighteousness. And sin leads to death. That is Biblical teaching. The carnal mind does not have The Holy Spirit. Without GODLY repentance, there is no chance of entering the Millennial Kingdom in Israel where GOD The Messiah Yeshua will reign. Nor any hope of eternal Life in Heaven. Without GODLY repentance, the individual continues to sin against GOD because he or she continues to reject GOD’S Law of Moses. And sin leads to death without GODLY repentance. Unless that non-Jewish person blesses the Jewish People as written in Genesis 12.3 and Matthew 25.31-46. They are righteous, as Messiah Yeshua says, and will enter into Life Eternal. GOD explains in Leviticus 26.40-46 that GODLY repentance is required to enter the Land of Israel and into The Millennial Kingdom where GOD ALMIGHTY, JEHOVAH, YESHUA THE MESSIAH will reign over all the earth. And GODLY repentance is required for everyone. GOD is saying in Verses 40 and 41, if the Children of Israel and all mankind will confess their iniquity, and the iniquity of their fathers with the trespasses they have transgressed against The LORD, that they have walked contrary to GOD, that is to say, we have walked in hostility against GOD, and GOD has walked contrary to us. And because of Israel’s disobedience against GOD, The LORD brought the Jewish People into the land of their enemies. And GOD’S instructions for repentance are in Verse 41. “If then their uncircumcised hearts are humbled, and they then accept the punishment for their iniquity,” meaning, if their stubborn hearts of disobeying GOD’S Teachings, Laws, and Instructions that are written in The Law of Moses are humbled. The word Humbled comes from the Hebrew word KAH’NAH meaning, to bring into subjection. To bring into subjection is to obey GOD. Thus GODLY repentance from GOD’S lips, is to Humble yourself before THE LORD YOUR GOD, and obey Him. Obey His Laws, His Teachings, and His Instructions that are written in The Law of Moses. Turning from all your sins of breaking the Law of Moses, and then turning your life to obeying the Law of Moses. That is GODLY repentance. Then GOD says, And they then accept the punishment for their iniquity. Quite frankly, after we repent, GOD will punish us less than our iniquities deserve. After GODLY repentance, Paul teaches, the persecutions and tribulations that we endure are clear evidence of the righteous judgment of GOD that we are counted worthy of The Kingdom of GOD for which we also suffer. Thus accepting our punishment for our sins is part of GODLY repentance. So I looked up this word “accept” in Hebrew where GOD says, And they then “accept” of the punishment for their iniquity. Accept in Hebrew is RAH’STAH meaning, To be pleased with, specifically to satisfy a debt, accept, approve, delight yourself, be pleased with, and take pleasure. LEVITICUS 26.42 Then GOD will remember His Covenant with Jacob, Isaac, and Abraham. And GOD will remember the land of Israel. So what is the significance to the Christian of GOD’S Covenant with Jacob, Isaac, and Abraham? When you received Jesus, GOD forgave you all your sins. When the Christian repents of their sins against GOD for breaking His Law of Moses daily, and is humbled before THE LORD YOUR GOD, and then you live your life in obedience to GOD’S Law of Moses daily, you will have GOD’S invitation to join Him in The Millennial Kingdom in Israel, and The New Jerusalem in Heaven forever where the GOD OF ISRAEL, YESHUA THE MESSIAH REIGNS. LEVITICUS 26.43-44 Again The LORD says that after we repent, we will accept the punishment for our sins because we despised GOD’S judgments, and we abhorred His Statutes. That is to say, we despised and abhorred GOD’S Law of Moses. And GOD will never break His Covenant with the Jewish People to be our GOD Forever. And that He has given the Land of Israel to the Jewish People for an Everlasting Possession. No matter how much the Arabs bring terror against us, and the nations boycott us, and try to delegitimize us, and sanction us, GOD is our GOD, and He is with Israel and the Jewish People Forever. And GOD will repay those nations, and he will pay back those people with great evil and wrath for the evil they have brought upon Israel and the Jewish People. LEVITICUS 26.45 For their sakes, that is for the benefit and well being of the Jewish People, GOD will remember His Covenant with their ancestors, those whom GOD brought out of Egypt in the sight of the heathen that GOD will be their GOD Forever, and He will give the Land of Israel to the Jewish People for an Everlasting Possession. (Ephesians 2.19) The Saints are the Jewish people. The household of GOD might be the angels of GOD. And the Apostles, the Prophets, and Yeshua The Messiah Himself, All followed Torah, The Law of Moses. That is the foundation Jewish People and Gentiles must be built upon. LEVITICUS 26.46 GOD HAS ONLY ONE LAW. That Law is The Law of Moses. And the Law of Moses is for all mankind, Jew and Gentile, TO DO THEM FOR YOUR GOOD ALWAYS. EXODUS 12.49, LEVITICUS 24.22, NUMBERS 15.16, DEUTERONOMY 27.26, MATTHEW 7.21-23, ROMANS 2.13, ROMANS 3.31, ROMANS 8.7, EPHESIANS 5.1, 2 TIMOTHY 4.3-4, JAMES 1.25, ETC. Posted on November 22, 2015 November 26, 2015 Categories Shabbat MessageLeave a comment on REPENTANCE. WHAT ARE GOD’S INSTRUCTIONS FOR REPENTANCE? So with that said, let’s read Leviticus 26.1-16. In these Spoken Words of THE LORD written in Torah in Leviticus Chapter 26, The LORD is not only speaking to Israel, the Jewish People, GOD is speaking to all mankind saying, If you will walk in My Statutes, that is My laws that are written in The Law of Moses, and keep My Commandments, and do them, great blessings and rewards will come upon you. Much of the world is taught to reject GOD’S Law of Moses. And because so many reject GOD’S Statutes, GOD appoints judgment and punishment upon the disobedient. Much of the world, because they are taught to abhor GOD’S Laws His Judgments, and His Teachings that are written in the Law of Moses, so called Bible teachers preaching that GOD’S Law of Moses is no longer in effect, cause masses to disobey GOD. And they are responsible for the terrible condition the world lies in today. And much of the world rejects GOD’S stretched out Hand of blessing. The LORD GOD says, “I will bless those who bless you.” Meaning, GOD will bless those who bless the Jewish People and Israel. And those who bless the Jewish People and Israel, GOD blesses. But GOD also says, “I will curse him that curses you.” Meaning GOD will curse those who curse the Jewish People and Israel. And those who curse the Jewish People and Israel, GOD curses. Jew hatred today is greater and more global than during the days of Hitler. And look at the condition of the world today especially in those countries that continue their centuries old campaigns of Jew hatred and Israel bashing such as Europe and the Arab world. But by walking in GOD’S Statutes, His Law of Moses written in the first five Books of The Bible, and keeping His Commandments, and doing them, and receiving GOD’S outstretched hand of blessing for blessing the Jewish People, The LORD GOD will bless you and reward you and your children, and your children’s children. The Biblical formula for blessings, rewards, and eternal Life in Heaven is Atonement through Messiah Yeshua’s sacrificial death, and walking in GOD’S Statutes, and keeping His Commandments, and doing them. And blessing the Jewish People and Israel. Ha Shem Yeshua The Messiah says in Matthew 25.46 that those who bless the Jewish People are righteous and receive from THE LORD GOD Eternal Life. JEREMIAH 31.31-34, ISAIAH 9.5. CHRISTIAN BIBLE ISAIAH 9.6, ISAIAH 53.10, THE NEW TESTAMENT. Depart from Me you that break the Law of Moses. (James 1.21) Superfluity of naughtiness is disobedience to GOD’S Law of Moses, The Torah. LEVITICUS 26.1 To understand GOD’S teachings, Laws, and Commandments does not require a degree in theology, but a mind that obeys what GOD says in The Bible. Do not make any idols nor a graven image to bow down to it. For I AM THE LORD YOUR GOD, THE LORD SAYS. A graven image is a statute or a pillar. In Israel, the Country comes to a standstill during GOD’S weekly Sabbath from Friday at sundown to Saturday at sundown. And also during the Sabbaths on The LORD’S annual Holy Days written in Leviticus 23. Much of the outdoor Sabbath activity in Israel is families walking to and from the Synagogue. In this Country during GOD’S Sabbaths, businesses are running sales, millions are attending football games, and the highways are packed with travelers. There is no respect for GOD and His written Word outside of Israel. And Israel is not perfect. GOD’S Sanctuary in Hebrew is MEEK’DAHSH. His Sanctuary was the Tabernacle in the wilderness, and the First and Second Temples in Jerusalem. GOD’S Sanctuary is to be reverenced. It is to be revered and respected. Today’s Synagogues and Churches for the most part follow the teachings of man with some Scripture added, rather than following the pure Word of GOD that is written in The Bible. This Scripture that is ignored and rejected by so many, and taught to reject, is one of the most important teachings in The Bible. When Yeshua The Messiah, Who is Ha Shem says, “Many are called but few are chosen”, and “The gate is narrow that leads to Life and only a few find it”, is because so few walk in GOD’S Statutes, and keep His Commandments, and do them. LEVITICUS 26.3-4 If the people in this country, or any country walked in GOD’S Statutes, and kept His Commandments, and did them, GOD would give us rain in due season, and all the land would yield its crops, and the trees would yield their fruit. But so many States are experiencing drought, or too much rain because the people do not walk in GOD’S Statutes, nor do they keep His Commandments, nor do they do them. LEVITICUS 26.5 When the people walk in GOD’S Statutes, and keep His Commandments, and do them, The LORD will cause the threshing to reach to the vintage, and the vintage will reach to the sowing. Meaning there will be so much grain that everybody will eat to their full and be satisfied. LEVITICUS 26.6-8 If the people of any place, any where will walk in GOD’S Statutes and keep His Commandments, and do them, GOD will give peace in their land. And you will lie down and none shall make you afraid. And GOD will rid your land of evil beasts. Neither will war be in your land. If the people would walk in GOD’S Statutes, and keep His Commandments, and do them. LEVITICUS 26.9 And GOD will have respect for you If you walk in His Statutes, and keep His Commandments, and do them. But unfortunately, the Church and so many Messianic Congregations teach against GOD and His Law of Moses. Does GOD have respect for them? And GOD will establish His Covenant with you when you walk in His Statutes, and keep His Commandments, and do them. GOD will make every good promise He has spoken blossom for you and your family. GOD will establish every good Covenant with you, even throughout eternity because you walk in His Statutes, and keep His Commandments, and do them. LEVITICUS 26.10-12 When you walk in GOD’S Statutes, and keep His Commandments, and do them, you and your family will always have sufficient food to eat. And GOD will never reject you, nor will He abhor you. And GOD will always be with you. His Holy Spirit will dwell in you forever. Your body is the Temple of the living GOD. And GOD is your GOD, and you are His people. And GOD is your Father, and you are His sons and daughters BECAUSE YOU OBEY THE LORD YOUR GOD. 2 CORINTHIANS 6.16-18 VERSE 17 Come out from those who reject GOD’S Word and His Law of Moses. ACTS 5.32 GOD GIVES HIS HOLY SPIRIT TO THOSE WHO OBEY HIM. LEVITICUS 26.13 The LORD brought the Children of Israel, the Jewish People out of the land of Egypt that we should not be their slaves. And GOD has adopted the Jewish People. He has given us His Covenants, and His Law, His promises, and The Messiah Yeshua in the flesh. He has chosen us to be His servant and His witnesses to know GOD and believe Him and understand that THERE IS ONLY ONE GOD. To tell the Gentiles how to join themselves to The LORD, to serve Him, and to love Him, and to love The Name of The LORD. To be His servants by keeping His Sabbath from polluting it. To obey His Statutes, and keep His Commandments, and do them. LEVITICUS 26.14-16 And GOD continues speaking to His Jewish People whom He has adopted, and to all mankind. But if you will not obey Me, and will not do these Commandments. And if you shall despise My Statutes, or if your soul shall abhor My Judgments so that you will not do ALL My Commandments. But that you break My Covenant. That is, you break GOD’S Word and His Law of Moses, The LORD lays out in the following verses the curses and punishments that He will lay on the disobedient. GOD will appoint terror over the disobedient and a fever that will consume their eyes. And He will cause sorrow of heart. GOD will set His Face against the disobedient. And they will be killed before their enemies. And if the people will not obey GOD, He will punish them seven times more for their sins. And GOD will make the Heaven iron, and the earth brass. And their strength will be spent in vain. Their land will not yield its crops. And GOD will bring plagues upon the people according to their sin. And He will send wild beasts among them. And GOD will walk against them because they walk against GOD. And GOD will bring war against them, and remove their food. And their land will come to desolation, and their cities waste. And there will be faintness in their hearts. And those that are left will pine away in their iniquity in the land of their enemies because they refused to walk in GOD’S Statutes, and they refused to keep GOD’S Commandments. And they refused to do them. But GOD says, If you will confess your sins of breaking His Law of Moses, and walk in His Statutes, and keep His Commandments, and do them, GOD will accept your Atonement in The Messiah Yeshua. Isaiah 56.7. And GOD will forgive you. And GOD will be your GOD. FOR GOD IS THE LORD. Shalom. Our teaching this morning will continue in The Law of Moses from the verses of Leviticus 25.8-13. And the title of our teaching is, THE JUBILEE. Not everything about the jubilee will be taught this morning, but enough to give us an understanding of GOD’S Jubilee called in Hebrew YOVAYL meaning ram or ram’s horn. So with that said, let’s read in Torah Leviticus 25.8-13. LEVITICUS 25.8 Israel, you shall number forty-nine years. LEVITICUS 25.9 At the end of forty-nine years, GOD said, you shall sound the trumpet of the jubilee. In Hebrew, the trumpet of the jubilee is SHOFAR T’ROO’AH meaning, the blast of the shofar. The blast of the shofar is to be sounded on the Day of Atonement in the fiftieth year. You shall blast the shofar throughout the Land, GOD commanded the Children of Israel. LEVITICUS 25.10 You shall hallow the fiftieth year. That is, the fiftieth year is Holy and Dedicated to The LORD. And you shall proclaim liberty throughout all the Land for all the People in the Land of Israel. It shall be a jubilee for you, The LORD said. Again, jubilee in Hebrew is YOVAYL meaning ram or ram’s horn. And the jubilee is ushered in by the blowing of a shofar, a ram’s horn on the Day of Atonement in the fiftieth year. During every jubilee year, GOD commands His people to return to their original land within their tribes when they entered the land some 3,400 years ago. Thus keeping the families and the tribes together. Once the Children of Israel entered the Land and conquered Canaan, the Land was divided by lot in perpetuity, forever. The boundaries for each tribe were decided. But the Levites, who were not given a tribal portion of land, were provided with towns and pasture lands within the Lands of the other tribes of Israel. Therefore the Jewish People do not own the Land of Israel. The Land of Israel is owned by GOD ALMIGHTY. GOD gave the Land of Israel to the Jewish People for an everlasting possession to be their Homeland for as long as the earth remains. But GOD still owns it. Therefore the Lands allocated to the twelve tribes of Israel and their families are holdings. Meaning the Lands given to them are leased from GOD. They cannot conduct permanent real estate transactions of GOD’S property because GOD owns it. The ultimate effect of this Law that the Land shall not be sold forever, for the Land belongs to GOD, is that GOD has dominion over His Jewish People. Quite frankly, GOD has dominion and rule over everybody. Thus by law, GOD’S Law, GOD commands His Jewish People to return to their original Land and possession during the Jubilee year to keep the families and the tribes together as The LORD determined when the People entered the land. Also the effect of GOD’S Law is the unique relationship between GOD and His Jewish People. GOD is The King of Israel, the exclusive owner of The Land of Israel. And He is the exclusive owner of the Jewish People. And GOD’S Law of Leviticus 25.23 that the Land shall not be sold forever, for the land is Mine. And His command for the People to return to their original Land and possession during the jubilee will fully take effect in the 1,000 year Messianic Kingdom in Israel. In addition to the above, The two state solution being forced upon Israel by the nations of the world violates the Word O f GOD and is in direct opposition to GOD’S Commandment that The Land shall not be sold forever, for The Land is Mine saith The LORD. (Leviticus 25.42) Bondmen are slaves. (Isaiah 43.10) The Jewish People are GOD’S servants. Servant here in Hebrew is AH’VAHD meaning slave. We are GOD’S slaves. And Who better to be our Master? Yes, all GOD’S Laws that are written in The Law of Moses are directed to the Jewish People. And aside from the jubilee, they are for all mankind to obey since GOD has only ONE LAW, the Law of Moses. LEVITICUS 25.12 The jubilee is like the Sabbath and the other Festivals of The LORD that are written in Leviticus 23. The Jubilee is a commanded time of GOD. However it is not known whether the Jubilee was ever observed in actual practice. There is no mention of the jubilee in Biblical history during first Temple times. And according to the Rabbis, the jubilee was not observed in the second Temple period at all. However, the year of the jubilee is Holy to the Jewish People. The LORD says, You may only eat the increase, that is the growth that comes directly from the field. The LORD assures the People that they will have more than enough food because He will grow food enough for three years before the Land lies in complete rest. And there will be plenty of food for everybody and their animals to eat and be satisfied and be full. LEVITICUS 25.13 In the year of jubilee, GOD commands the Jewish People to return to their original possessions. Thus bringing the tribes and their families together. The jubilee is not observed today, but be assured that the jubilee will be observed in The Messianic Kingdom in Israel whose borders will be from the river of Egypt to the Eupharates River when The LORD Messiah Yeshua returns to be King over all the earth. Zechariah 14.9. And those who are not Jewish, who have joined themselves to The LORD to serve Him, you will have your inheritance among the tribes of Israel. And in what tribe the non-Jewish person has settled, there shall you have your inheritance saith The LORD GOD.